CPAP, or continuous positive airway pressure, is a treatment that uses mild air pressure to keep the airways open while sleeping. Typically one will buy CPAP supplies to address breathing problems in adults, but even preterm infants whose lungs have not fully developed may need CPAP treatment. 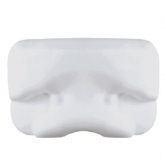 Whether you're looking for new or replacement equipment, order CPAP supplies online for fast delivery and free shipping. 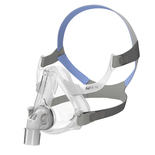 All CPAP accessories are compatible with the industry standard sized nozzles, tubing & masks.